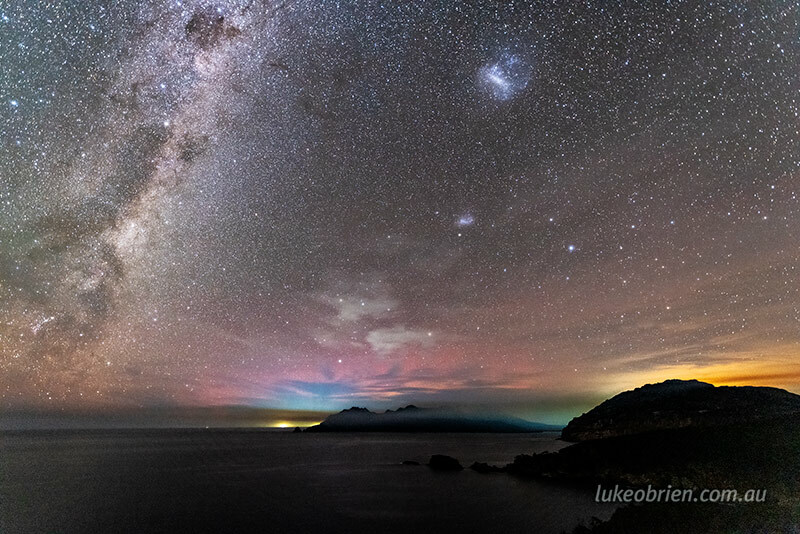 On the evening of March 27 I headed up to Freycinet, lured by clear skies and a small possibility of an aurora – which has been quite elusive for me lately, it has been ages since I shot a good aurora! 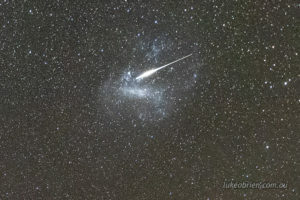 The skies stayed clear – mostly – although there was an unfortunately positioned line of smoke right across the southern horizon which sorta kinda got in the way, and a bit of light pollution, perhaps from fishing boats? 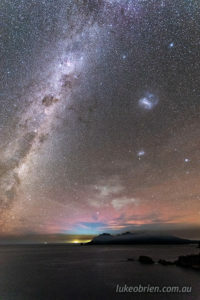 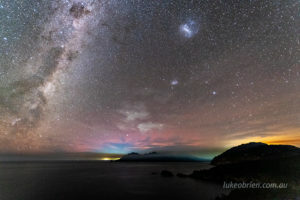 There was indeed a light aurora glow above all the muck, a subtle pink glow beneath a stunning galactic portrait – the Milky Way and Magellanic Clouds were truly stunning. 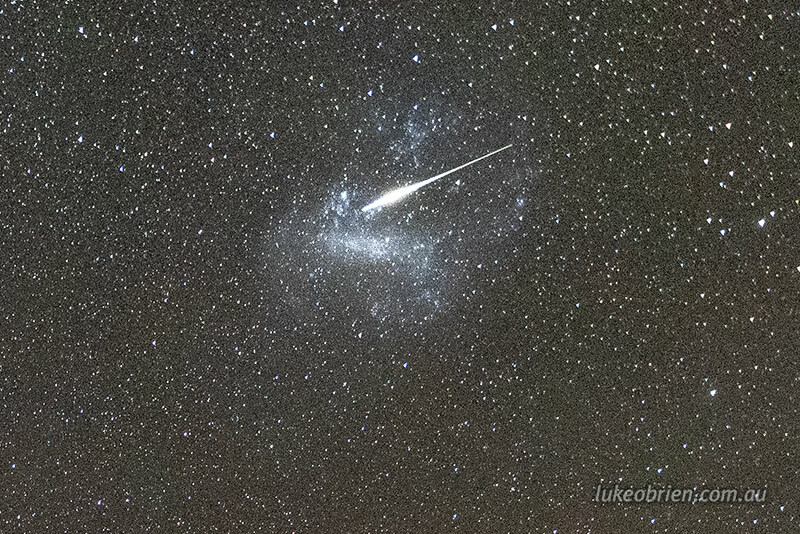 I also managed to capture a shooting star, right through the Large Magellanic cloud. The shot below is a crop of a much wider angle shot.